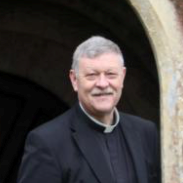 In September 2015, Rev'd Tony Forrest was appointed Rector of Droxford, Meonstoke, Corhampton & Exton. A former headteacher, Tony sets out below the differences between his role and that of the Assistant Curate living within the Benefice. In July 2017, Rev'd Samantha Martell was appointed Assistant Curate and supports the Rector. A former pig farmer and butcher, Samantha outlines how she sees her role in a modern world and what this means for the community. 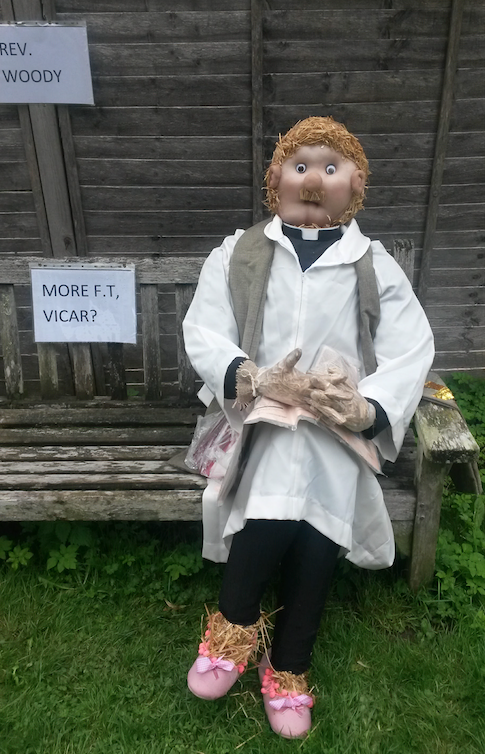 I don’t think there has been a Curate anywhere in the Benefice for very many years and certainly not a full-time paid curate like Samantha – we are very lucky to have her – usually full time clergy in their first post serve in the towns and cities. Essentially, her role is akin to a junior doctor, qualified and in his/ her first post, but undergoing further professional training in the workplace at the same time. Samantha’s role is two-fold: to assist me in my role delegated by the Bishop, which is for the ‘cure of souls’ in the Benefice (hence her official title of ‘Assistant Curate’); and, to develop her skills and priestly qualities such that she will be ready to run a parish of her own in about three years’ time. Why Curate? In the 17th Century – you were either a bishop or a curate (those with the cure of souls for the bishop) and the name stuck for those who assist priests-in-charge, vicars, and rectors in charge of parishes. So ‘rector’ and (assistant) ‘curate’ are the jobs we do – technically the appointments we hold. To complicate matters, we have taken holy orders, which are not specific to our appointments – they are as much, or more, about who we are ‘to be’ rather than what we are ‘to do’. I am a priest, irrespective of what post I hold, and at the moment Samantha is a deacon, but she will be ordained priest next summer. All rectors are priests, but not all priests are vicars or rectors – some are chaplains, some hold diocesan posts not in parishes, some are in secular employment, some are chaplains e.g. the forces, prisons, hospitals, schools and universities. Deacons are called to work with the Bishop and the priests with whom they serve as heralds of Christ’s kingdom. They are to proclaim the gospel in word and deed, as agents of God’s purposes of love. They are to serve the community in which they are set, bringing to the Church the needs and hopes of all the people. They are to work with their fellow members in searching out the poor and weak, the sick and lonely and those who are oppressed and powerless, reaching into the forgotten corners of the world, that the love of God may be made visible. Deacons are to seek nourishment from the Scriptures; they are to study them with God’s people, that the whole Church may be equipped to live out the gospel in the world. They are to be faithful in prayer, expectant and watchful for the signs of God’s presence, as he reveals his kingdom among us. Priests remain deacons even after ordination to the priesthood, as bishops remain priests when they are ordained and consecrated bishop. Priests are called to be servants and shepherds among the people to whom they are sent. With their Bishop and fellow-ministers, they are to proclaim the word of the Lord and to watch for the signs of God’s new creation. They are to be messengers, watchmen and stewards of the Lord; they are to teach and to admonish, to feed and provide for his family, to search for his children in the wilderness of this world’s temptations, and to guide them through its confusions, that they may be saved through Christ for ever. Formed by the word, they are to call their hearers to repentance and to declare in Christ’s name the absolution and forgiveness of their sins. With all God’s people, they are to tell the story of God’s love. They are to baptise new disciples in the name of the Father, and of the Son, and of the Holy Spirit, and to walk with them in the way of Christ, nurturing them in the faith. They are to unfold the Scriptures, to preach the word in season and out of season, and to declare the mighty acts of God. They are to preside at the Lord’s table and lead his people in worship, offering with them a spiritual sacrifice of praise and thanksgiving. They are to bless the peoplein God’s name. They are to resist evil, support the weak, defend the poor, and intercede for all in need. They are to minister to the sick and prepare the dying for their death. Guided by the Spirit, they are to discern and foster the gifts of all God’s people, that the whole Church may be built up in unity and faith. In short, in addition to what deacons do, priests bless and absolve, preside at the Eucharist, baptise, marry and may hear confession. 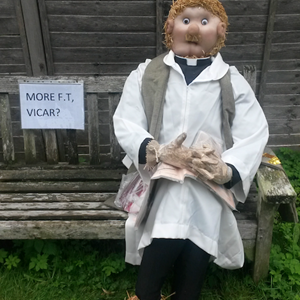 Samantha will have to leave the benefice to take up her next post within four years of being appointed - she is not allowed to remain here, which be hard for the curate and for the people. I would expect that she would then be appointed as the vicar or rector of a parish or benefice of parishes of her own, if that is where she feels called to serve. Of course, that is only part of the job, it doesn’t begin to touch on work in schools, coffee mornings, meetings about buildings, diocesan conferences, flood defences and bridges, rotas, annual reports and accounts, safeguarding, music planning or even opening Country Fairs! Following on from Tony’s excellent description of our raisons d'être, and in relation specifically to our work in the local schools, Meonstoke and Droxford and the coffee mornings. In our results oriented society, being in a role with its heart as much on ‘being’ as ‘doing’ takes some getting used to. One will possibly never know the impact of taking a funeral, wedding or baptism, or having a chance conversation, delivering a sermon or even a smile at the supermarket while wearing a clerical collar. Within my role as the Assistant Curate, and what is particularly suited to me, is pastoral work. This includes, but is not focused solely upon, going and out and being with the parishioners where they are, physically, emotionally and spiritually. By this I mean all parishioners not just congregation members, because we are here for everyone in the parishes, whether they come to church or not, and for people of all faiths and none. That’s why it is as important for me to go to Droxford School as it is to Meonstoke. Similarly, I have been welcomed just as warmly at the Droxford coffee morning, which is held in the village hall; as the one held in Meonstoke church. Both attract people from all walks of life from across the Benefice, at various stages in their lives; and it is a privilege to be able to talk, and to share coffee and cake with each and every one of them. I also take great delight in walking around the villages and chatting to whomever I bump into. Some cross over to avoid me, but many will stop to pass the time. It’s a pleasure and an honour to be a part of this beautiful collection of villages, and I shall certainly be sad to leave when that time comes.